Sometimes, even when we expect that they can and will, students just do not engage. If you were a language learner yourself, think back to your days as the student… You were unsure about your own ability to speak in the target language. It took longer to think answers out in your second language than it does your first, and all that thinking time has left the classroom in awkward silence. The first person to speak now, after all this silence, has the most pressure. No, thank you. Better to continue the silence than be the first to speak. Here are some general tips, tricks, and example activities you can use to get your students speaking. One way to avoid this sort of downward spiral in your classroom is to avoid generalized/broad topic discussions. Language learners, especially in lower level contexts, are mentally trying to translate the input they are receiving and they output they are trying to put forth. 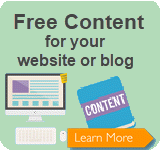 That can be intimidating when they don’t have specific questions or tasks to accomplish. If they are not certain about the topic or question, they could be more prone to remain silent rather than risk being wrong in their interpretation. It is also important to note that your students may be coming from a culture whose learning style and classroom culture is vastly different from what you are trying to create. Be specific in your expectations of them. Explain that you want them to share their thoughts and feelings about a given topic… they may not be entirely used to this expectation in the classroom. Give students specific questions to discuss, specific scenarios to consider, specific content to evaluate, etc. Be specific in what you want them to be talking about. Being specific will only go so far if your instructions are confusing or unclear. One way to ensure that students will participate is to take away any doubt they may have about their comprehension of the task. If they doubt their understanding of the topic, they will be less likely to communicate. If they doubt their understanding of the instructions, at best you’ll end up with output that does not match what you were trying to asses leaving you to suss out if they are incapable vs confused, and at worst, more silence. Be specific. Be clear. Russian psychologist Lev Vygotsky, specialized developmental psychology. 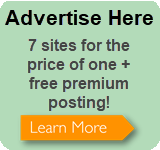 Vygotsky introduced a theory of learning called the Zone of Proximal Development (ZPD). Simply put, the ZPD states that there are three levels to learning. The level in which the student can complete the task without and help, the the level where students can complete the task with guidance (from their instructor in this case)…the ZPD, and finally the level in which the student cannot complete the task at all. One of the most crucial elements to a successful speaking activity is allowing your students to have some prep-time before asking them to speaking. As mentioned before, language learners are often unsure about their ability to speak in the target language. It takes longer to think answers out in a second language than it does your first. All that thinking and processing time since the teacher has introduced the topic/activity has left the classroom in awkward silence. The first person to speak now, after all this silence, has the most pressure. This can be avoided be allowing for this prep-time in your instruction. Introduce an activity, announce that students will have time to write/think/brainstorm/etc., followed by sharing their answers with the class. Because speaking activities in the classroom should be content-based and aid in student learning, the suggestions here are for ice-breakers that will initially get students speaking in the classroom. Using effective and engaging icebreakers early in your speaking classroom sets the tone and builds a rapport of approachability and comfort within your classroom. In this activity, students will be given a prompt/introduction from the teacher, have time to plan their individual answer, and share their answer with the class. While these answers are being shared, the teacher should write all individual student answers on the board (each student chooses on item, so you will only have to write one word answers, and can skip duplicates). 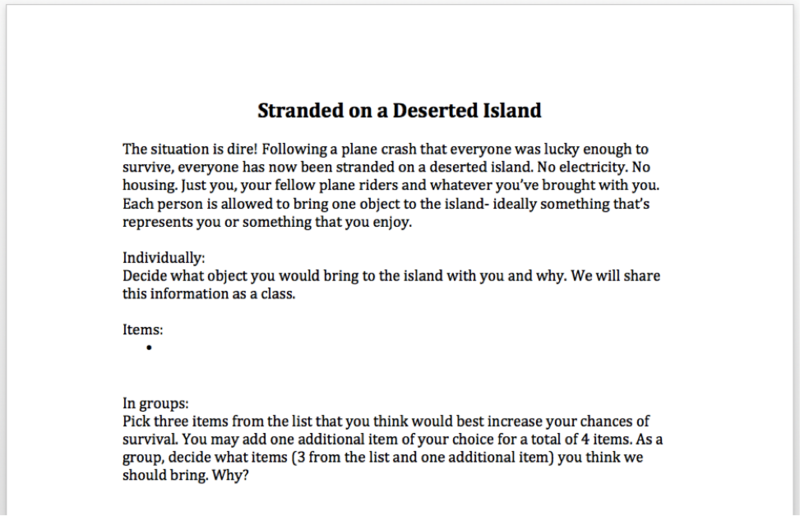 After each student has shared their individual answers, the teacher should then give instructions for the second half of the activity: In small groups, each group will have to consider the items on the board and discuss and agree on the 3 best items that would ensure their survival. 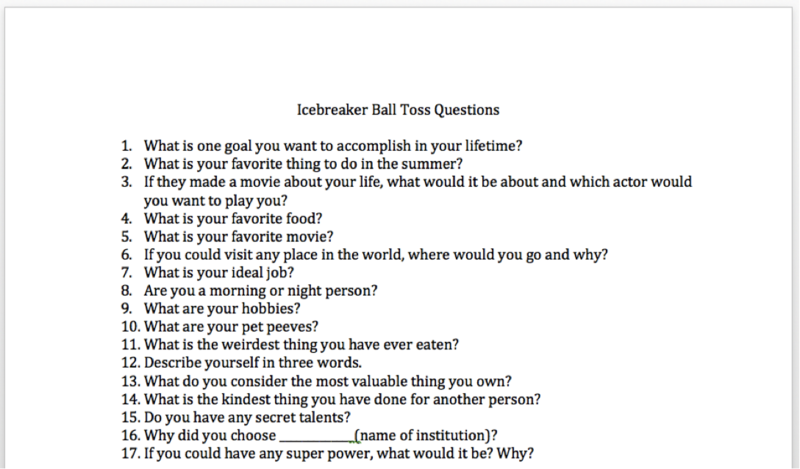 Before class, the teacher should purchase a ball, large enough to write icebreaker discussion questions on (example icebreaker discussion questions pictured below). In class, have students gather in a circle. They will toss the ball in any direction they choose. The person who catches the ball must choose a question written on the ball, read the question aloud, then provide their answer. Speaking classes and activities are crucial to learning a second language. It is also crucial that they are done properly in order to create an environment that is conducive to open communication. Your students may be coming from a culture whose learning style is vastly different than what you are trying to create in your own classroom. They need to have specific tasks and clear instructions in order to fully participate. The tasks should be within their ZPD, and always, always, always allow prep-time for lower level students.